The son of legendary French jump jockey Patrice Lemaire, Christophe has unsurprisingly followed in the family tradition and he started riding as an amateur at the tender age of 16, whilst he was still at school. He was apprenticed to Andre Fabre shortly after finishing his studies and spent three years with the trainer before becoming a freelance jockey in July 2001 and is currently retained jockey to the Aga Khan in France though that finished at the end of the 2013 season. 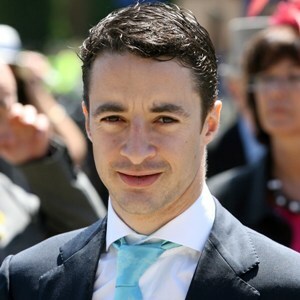 Lemaire enjoyed a first Group 1 success onboard Vespone in the Prix Jean Prat in June 2003 and he has since recorded a host of major victories around the world, including seven French Classics and a host of Group/Grade 1 wins in Japan, as well as major victories in Dubai (where he won the 2006 Dubai Sheema Classic on Heart’s Cry), Australia (where he won the 2011 Melbourne Cup on Dunaden) and the USA (where he won the 2012 Breeders’ Cup Juvenile Fillies Turf on Flotilla). Newmarket has proved to be a happy hunting ground for the jockey and he has notched up six Group 1 wins at the course, including the 1000 Guineas on Natagora (2008) and the 2000 Guineas on Makfi (2010). His one success in the QIPCO British Champions Series came on Shareta in the 2012 Darley Yorkshire Oaks.